GROSS: When American entered World War II, some of Hollywood's most celebrated directors enlisted and risked their lives, not to fight, but to film the combat. We just heard a clip from "The Battle of Midway," a film of the actual battle directed by John Ford, who was already famous for films like "The Grapes of Wrath" and "Stagecoach." Through the 1930s, Hollywood and the federal government were suspicious of each other, but after Pearl Harbor, the War Department wanted Hollywood's directors to make short documentaries that could be presented in theaters before the featured films in order to show Americans what was at stake, give them a glimpse of what our soldiers were going through and stir up patriotic feelings. My guest Mark Harris has written a new book about this unusual and unprecedented relationship and Hollywood in his new book "Five Came Back: A Story of Hollywood and the Second World War." Harris focuses on five directors who made movies for the War Department: John Ford, George Stevens, John Huston, William Wyler and Frank Capra. Harris' previous book is called "Pictures at a Revolution: Five Movies and the Birth of the New Hollywood. He's a columnist for Entertainment Weekly and Grantland. Mark Harris, welcome to FRESH AIR. This series of World War II movies with a lot of documentary footage gets started with the series "Why We Fight," which is overseen by the director Frank Capra. What are some of Frank Capra's most famous films? MARK HARRIS: Well, Capra was probably the most successful and famous director in Hollywood at the time the war started. He had made "Mr. Smith Goes to Washington," "Mr. Deeds Goes To Town," "It Happened One Night," "You Can't Take it With You," "Meet John Doe." I mean, he was I believe the highest paid director in Hollywood at the time. GROSS: He oversees the "Why We Fight" series, a series designed to tell people why we're entering the war, what's it really about, and - or as it was officially put, making clear the enemy's ruthless objectives, promoting confidence in the ability of our armed forces to win and showing clearly how we would lose our freedom if we lost the war. So he said hey, you know, my "Why We Fight" movies are terrific. Why can't they be shown in American theaters and got into a huge bureaucratic power struggle about whether they could get out to theaters. But three of them -three of the seven - ultimately were shown in theaters. GROSS: And "Triumph of the Will" is Leni Riefenstahl's documentary of a huge Hitler rally basically staged for the camera, very scary, yeah. HARRIS: Yes, yes, "Triumph of the Will" is propaganda, pro-Nazi propaganda, pro-Hitler propaganda on a level of intensity that nobody in America had ever tried because propaganda, even right after the war started, was still kind of a tainted word, whereas it was not in Germany. So Capra's brilliant idea was to take some of these movies, which shockingly were shown theatrically in German communities in New York, in local movie theaters, to pro-German audiences, and turn them against their makers by showing just how dangerous and domineering these people could be. 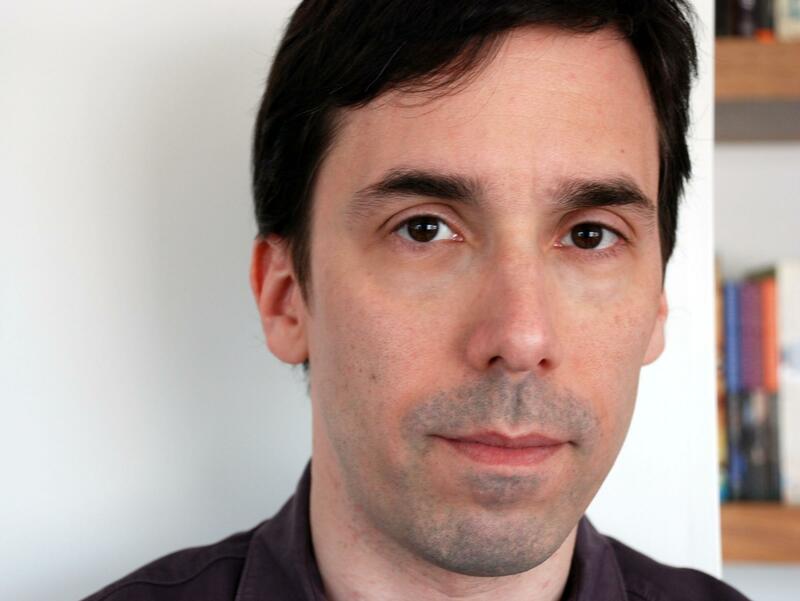 HARRIS: Yes, everybody thinks that Capra was this blazing populist liberal. That was, sort of, more true of his screenwriters than of him. Capra was actually a conservative Republican who boasted that he never voted for Franklin Roosevelt in any of the four elections. And his own politics were bewildering I think even to himself sometimes. HARRIS: I do. 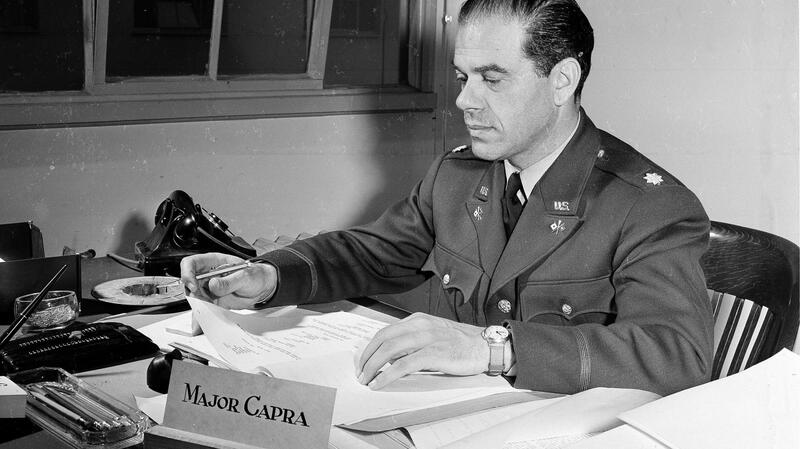 I think that the "Why We Fight" films and the whole war mission that Capra assigned himself focused his patriotism and his politics, even, in a way that the years before the war could not. The interesting thing is that while Capra was a very take charge guy, he also really liked being given an assignment. He went into the Army, and his attitude was essentially tell me what you want to get across, give me a mission, and I will fulfill it. And the "Why We Fight" movies, which he framed as a seven-part depiction of what he called the struggle for freedom versus the struggle for slavery, was really a kind of combination of him being tasked to make these movies and of him coming up with his own ideology of the war and what the war was about before the people who were in charge of the war had ever really fully articulated it to him. GROSS: If you're just joining us, my guest is Mark Harris. We're talking about his new book "Five Came Back: A Story of Hollywood and the Second World War." And it's the story of the movies that were made by five directors - John Ford, George Stevens, John Huston, William Wyler and Frank Capra - during World War II. These were mostly documentaries of one sort of another, and several of them were documentaries of battles as they happened. Let's take a short break, and then we'll talk some more. This is FRESH AIR. GROSS: If you're just joining us, my guest is Mark Harris. We're talking about his new book "Five Came Back: A Story of Hollywood and the Second World War." Let's talk about a movie that John Ford made during World War II called "The Battle of Midway." But first just give us some of John Ford's most famous movies. Ford had been on an incredible winning streak before he went into the war. He had, between 1939 and 1941, made "Stagecoach," "Drums Along the Mohawk," "The Grapes of Wrath," "How Green Was My Valley." If Capra was the most successful American director before the war, Ford was probably the most acclaimed. OK, so he makes "The Battle of Midway," which is the first film to bring combat footage to moviegoers on the home front. What did viewers see in this movie that had never been seen before? HARRIS: Well, what was interesting about "The Battle of Midway" was that they didn't actually see the battle itself, which was rather spread out and diffuse. You know, Midway was an important strategic stop, as its name suggests, you know, midway in the Pacific, an important strategic place for the Americans to try to hold. They had a perfect vantage point to see incoming Japanese flyers in formation. The Americans knew that the Japanese were planning an attack. This time they were ready both with planes of their own that were launching off of aircraft carriers, you know, torpedo squadrons, and with men stationed on the ground at Midway. GROSS: And the Americans won The Battle of Midway. So what was the importance of this movie in the war effort? And the valor of Americans until that point had been in stalling for time, holding off the Japanese for as long as possible in various engagements so that the Navy could rebuild its fleet. But at the end of those engagements, we would lose. Midway was one that we won, and Ford understood absolutely once he had sat through the battle that even thought we also sustained terrible losses at Midway, and that - the emotional impact of that is something Ford carried with him forever, that the message of the Battle of Midway was that we were going to take it to the enemy and that we were going to win and that that message had to get out to as many people as possible. GROSS: I think this is very moving: He made a separate short film about the loss of a torpedo squadron, a squadron that was lost in that battle, and he made it on eight millimeter film. And he, if I understand it correctly, it was made for the families of the men who were lost, and he gave them copies. Do I have that right? GROSS: We were talking about John Ford's movie " Battle of Midway," which was about the Battle of Midway. He was also on Omaha Beach for D-Day and was given the assignment of shooting the D-Day invasion. And I mean, there was such mass carnage in this battle in World War II. Where was he positioned, and what did he and his crew actually get? What is ironic is that most of the footage that was shot at D-Day was destroyed. It was so - you know, many of the cameras, the stationary cameras didn't function. You know, the cameramen miraculous almost all survived, but a lot of their footage didn't. So there was no way to create a kind of clear narrative chronological structure of what happened at D-Day out of the footage. Most of the most shocking footage, the most realistic footage, the best footage, if you will, from D-Day was much too raw and frightening and upsetting to be shown to home-front audiences. So while movie theaters across the country advertised for 10 days with signs outside the theater saying 10 days until first footage of D-Day, eight days until first footage of D-Day, six days; the actual footage that made its way to the theaters was a very carefully manicured selection of stuff that was acceptable to show, that was sort of perceivable by untrained eyes, you know, that wasn't, in other words, too shaky or blurry or discontinuous or quick to really work in a movie. GROSS: Mark Harris will be back in the second half of the show. His new book is called "Five Came Back: A Story of Hollywood and the Second World War." I'm Terry Gross, and this is FRESH AIR. GROSS: This is FRESH AIR. I'm Terry Gross back with Mark Harris. His new book "Five Came Back" is about five celebrated Hollywood directors who enlisted during World War II in order to film the war. They worked through the Office of War Information. It was an unprecedented, collaborative relationship between the federal government and Hollywood. These shorts were shown in movie theaters before the featured films to keep Americans informed, show what was at stake and stir up patriotic feelings. Earlier, we talked about two of the five directors Harris profiles, Frank Capra and John Ford. Another director that you write about is George Stevens, who had just an incredibly horrifying experience. He was there when the concentration camp Dachau was liberated. And before we go any further in his story, tell us about his most famous movies. What were they? GROSS: "Swing Time" is like maybe the best Fred Astaire/Ginger Rogers movie. HARRIS: Right. I mean if you wanted to escape and not think about anything having to do with what was going on in the world, George Stevens' movies before the war were some of the best most entertaining ways to do that. GROSS: And then another movie he made after the war was "The Diary of Anne Frank." So let's get to what happens in during World War II. He's with his camera crew. And I'm sure he didn't know about Dachau. I mean, who did in America? But how did he end up being there when it was liberated? HARRIS: Stevens' journey through the war is in a way a journey into the darker and darker recesses of the war. He started out by getting sent to the North African campaign and got there too late to film anything, and spent much of the war incredibly frustrated that he was far from the action. But starting really with the march toward the liberation of Paris, he was really in the thick of the action and filmed a lot, and was around for the Battle of the Bulge and then was among the first Allied camera crews to get into Germany as it was clear that Hitler was going to fall and the war was going to end. HARRIS: Yeah. What Stevens filmed at Dachau was so painful that he didn't talk about it for decades afterwards. But what we think of now as some of the images of Holocaust atrocities that are burned into our collective consciousness, that's what Stevens saw. Bodies in boxcars, starving, dying, skeletal people, bodies covered in snow, body parts, crematoria. The worst things. You know, the worst things that we know of what the Nazis did in the death camps and the concentration camps were news to Stevens and his men and, of course, to America when he discovered them. They - imagine, you know, imagine walking into Dachau not knowing what a death camp was and seeing what he saw. So he did the only thing that he could do, which was to record it. At that point he was no longer interested in making a documentary. What he was doing and what he knew he was doing from the first hour he was there was gathering evidence. GROSS: And that's how it was used. I mean you couldn't very well show this footage to theatergoers/ It was much too graphic and horrifying, especially for that time. I mean the standards in what you could show in a theater was very different than it is today. But it was just too horrifying. But tell us how that footage was used? HARRIS: Well, what's remarkable is that Stevens didn't flinch from filming anything he saw. I mean and the roughest stuff he filmed himself and the footage that he shot proved to be extraordinarily important in the Nuremberg Trials where it was compiled into two evidentiary movies. One of which was specifically designed to show Nazi atrocities and the other of which was designed to prove that this had been a long-term plan on the part of the Nazis. It's essentially to prove intent. Those movies were shown at the Nuremberg Trials and the defendants were forced to sit there and watch them. And many people feel that they were essentially turning points in the trial, in that not in that these guys were ever going to be found innocent, but in bringing home just how horrible what they had done was. HARRIS: I think initially, it plunged him into a terrible depression. He - Stevens suffered his own form of what we would now call PTSD - post dramatic stress disorder. He came home. He was depressed. He couldn't think of very much he wanted to do. He went to parties and he spent time with his family, but he started drinking heavily. Two of his fellow directors - William Wyler and Frank Capra - had convinced him to go in with them on a new independent filmmaking company called Liberty, but he couldn't find a project to do. It was not until three years after the war that Stevens was able to even sit himself down and get behind a camera and make another movie. GROSS: If you're just joining us, my guest is Mark Harris and were talking about his new book "Five Came Back: A Story Of Hollywood and the Second World War." Let's take a break then we'll talk some more. This is FRESH AIR. GROSS: If you're just joining us, my guest is Mark Harris. He's the author of the new book "Five Came Back: A Story Of Hollywood and the Second World War." And it's about five filmmakers and the movies they made during World War II - famous filmmakers - John Ford, George Stevens, John Houston, William Wyler, Frank Capra. And these are mostly documentaries that were made of battles or things like the liberation of the death camp, Dachau. And it's an incredible history. It's incredible period of Hollywood history. Let's take a brief look at William Wyler. Let's start with the movies he's most famous for. HARRIS: Wyler made a great set of movies with Bette Davis before the war. They had one of the great actress/director collaborations in Hollywood. They made "The Letter" together and "Jezebel" and "The Little Foxes." Going into the war, he was known as an unbelievably exacting and precise director who made these elegant, smart movies, but would often take 40 or 50 takes of the same scene before he got what he wanted. HARRIS: Wyler was really eager to get into the war. He was a Jewish immigrant from Alsace, whose family was still there, you know, on the border between France and Germany. He would say that sometimes he didn't know what nationality he was because his town was in different hands at different times. So he was eager to get there and fought hard to get himself posted to London and then to an Air Force base where he conceived the idea of making a movie about what it was like to go on a bombing run. And one of these bombers that were crewed by 10 young men - he settled on the Memphis Belle because there was a thing in the Army Air Force where if you flew 25 missions successfully, you got a break and the guy's got to go home. And so the "Memphis Belle" - which was actually compiled from footage taken by Wyler and two of his crewmen on several different bombing runs - was the first time that Americans really got a look at what it was like to be up in the air trying to drop bombs on targets while German planes were firing at you. HARRIS: Well, he didn't go deaf as a result of the "Memphis Belle," but he did go deaf in the air. The "Memphis Belle" was a huge success. The movie had great impact when it was shown in America because the idea of Air Force combat in World War II was still pretty new and, you know, Wyler didn't use any reenactments. There were audio reenactments but what you saw in the movie was really what was shot in the air. So he was very eager to do another film about another set of bombers and while he was shooting footage for that in Italy, he stepped out of a plane one day, it had been terribly, terribly noisy and, you know, he hadn't been wearing headphones or air plugs or anything. He stepped out of the plane and could not hear. His knees buckled, you know, his sense of balance was lost and within a few days, it was very clear that he had done such severe damage to his ears that he was not going to get his hearing back. And his military service was over. He thought his career was over. He was shipped back to the United States immediately and sent to a military hospital and was just devastated. I mean, overnight he had gone from being a filmmaker to he felt being nothing. HARRIS: Right. And it was also about, "The Best Years of Our Lives," was about something that America was experiencing at that moment. It wasn't a sort of delayed Hollywood take on something that had happened a few years later. You know, America was in a paroxysm of readjustment. All of these men were coming back. Were they the same men they were when they left? How would they reconnect with their families, with their wives and children? Were they going to have serious drinking problems, which a lot of them did. Were they going to have serious emotional problems, which a lot of them did. Were they going to be able to reenter the workforce? These were questions that America was wrestling with the right when this movie came out and, you know, it was extraordinary for people to get to see the drama of their lives being played out on screen, especially in such a great motion picture. GROSS: That's right. It's both hands. And I never realized how much William Wyler was probably identifying with him because he lost, you know, (technical difficulties) in the war. HARRIS: Yes. It's funny because when most people see "Best Years of Our Lives" they think that Wyler was probably identifying with the Frederic March character who was the older officer and family man who has been away for while. He left his very comfortable job at a bank to go to the war and now he's coming back and his children have turned into teenagers who are kind of living their own lives. And he's trying to reconnect with his wife, Myrna Loy. And a lot of what March's character goes through in trying to readjust was drawn from Wyler's own experience seeing his wife for the first time after a long time. But, yes, Wyler also identified very closely with Harold Russell. He really understood as no other returning director did what it was like to be disabled - how you saw yourself differently because you were disabled, how the world saw you differently because you were disabled, and how the world saw you differently. GROSS: And, you know, a lot of filmmakers are getting called to these committee hearings. A lot of filmmakers are getting blacklisted. So, you know, the suspicion starts back up again. I'm actually even wondering - I'm sorry, I'm asking you like 100 questions here. GROSS: But I'm also wondering if any of the filmmakers who risked their lives making these World War II documentaries were later blacklisted. HARRIS: You know, it's a really - that's a very interesting set of questions. The sort of truce, the idea of a shared enterprise between Hollywood and Washington, did not last long after the war. And, as you said, you know, by the late 1940s, even, the climate had changed so much that William Wyler went on the radio and said: I don't think I would be allowed to make "The Best Years of Our Lives" now, even just a couple of years after I made it. That's how punitive and paranoid Washington is making Hollywood become. They weren't blacklisted, these directors, and, in fact, many of them were really adamantly opposed to the blacklist, although Ford and Capra's politics tended to veer to the right, and Stevens, Huston and Wyler more to the left. They were a pretty united front, to the point where when Cecil B. DeMille tried to institute an anti-communist loyalty oath for the members of the Directors Guild of America, these five directors, who really hadn't come together for any purposes since World War II, presented a pretty united front and shot him down. HARRIS: I'm 50, and my father went into the war when he was 17. He served in Burma. And the truth is that he told a lot of war stories - as all those guys did - when I was growing up, and I was alienated by them and frightened by them. I found it terrifying that someone who was still a boy would go put himself in a position where he would get shot at and be away from home. It seemed so frightening to me and so - such a thing not to be excited about, that I remember, from a very small age, not wanting to listen to his stories. And, for me, working on this book was a way of, you know, decades later, investigating my own aversion to this subject. I had to go stare into the face of what had frightened me as a child and try to understand who these gruff men were and why they did what they did and why it was so important to them for the rest of their lives. GROSS: Mark Harris is the author of "Five Came Back: A Story of Hollywood and the Second World War." You can read an excerpt on our website, freshair.npr.org. Coming up, Ken Tucker reviews a new album by Chuck Mead, who's best known as the alternative country band BR549. This is FRESH AIR. Transcript provided by NPR, Copyright NPR.